These days Arnside and Silverdale are picturesque seaside villages, nestled quietly and unobtrusively into the shores around Morecambe Bay. Of course, they see plenty of visitors every year - and rightly so - but it comes as a surprise to many to realise that there was once a large amount of heavy industry in the area. There is a very pretty little walk (ending in a pub, which is always a plus!) just along the estuary from Arnside. Sandside Cutting is a nature reserve, and although it can be a little tricky navigating into the entrance as it’s right next to a busy road bridge, it is absolutely worth the effort. Today it’s a peaceful haven for birds and other wildlife and makes for a very pleasant stroll, with fascinating rock faces looming high on either side. 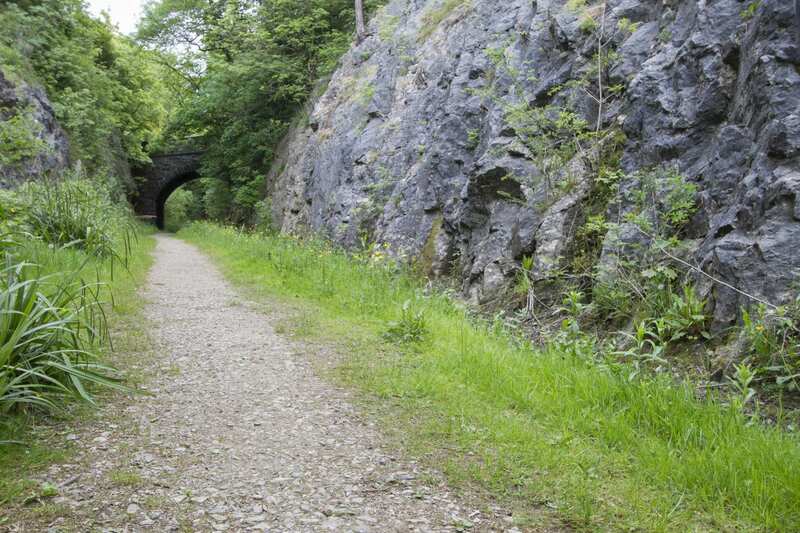 In the past it was a railway, but not just any railway; this was the route of the ‘Kendal Tommy’, which ran from Arnside to Kendal (also check out the tunnels at Hincaster if you have time). As well as shipping iron ore from County Durham, during World War One it played a vital role in the movement of munitions from Barrow. The viaduct at Arnside was specially reinforced to take the weight of the bomb-laden trains and the route became known as ‘The Lifeline of Britain’. Sadly, this section of the line closed in 1942 and the tracks were removed in the 1960s. 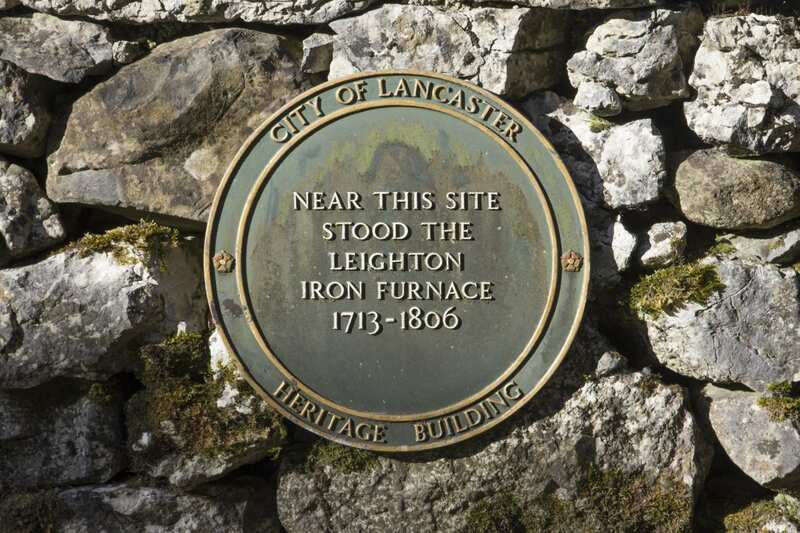 All that remains of this once busy furnace is a plaque on the wall at the entrance to a farmhouse and, if you look carefully into the field beyond, the grassed-over remnants of the spoil heaps. It was built in the early 18th century with iron ore being shipped in from across the bay. Some of the old iron ore routes can still be seen; look on a map for the unusually large track running from nearby Hazelslack Tower to the road just above Leighton Beck - this is where the iron ore was brought in from the old pier near Arnside. There were protests when the ironworks were built, with people fearing the furnace would use up all the local woodland, but this furnace ran on a combination of local peat (of which there was plenty) and wood, thus preserving many local ancient woodlands. One thing you’ll notice if you take walks in this area is the number of disused quarries, thanks mainly to the area being rich in limestone, and limestone being very handy for lots of industrial uses. Some, such as the enormous Middlebarrow Quarry, are off limits to explorers, but others, such as Trowbarrow, are open to all and definitely worth investigating. Trowbarrow Quarry opened in 1857 to support the growth of the railways through the region, and just beyond the quarry is the site of a limekiln where they first combined limestone with bitumen to produce what we now know as Tarmac. There used to be a lovely blue information board marking the very spot where it happened but this has sadly vanished. If you look closely at the quarry walls, you can spot ancient fossil corals and, right in the centre of the quarry, is an enormous stone known as the ‘Shelter Stone’. Originally it was where the men sheltered when they were blasting the quarry walls, but today it’s very popular with climbers and is usually covered in chalky hand prints. I’ll confess, the first time we visited here we had high hopes of finding a beautiful secluded pond in the heart of a woodland glade and, to be honest, we were somewhat disappointed with the boggy swamp we discovered. 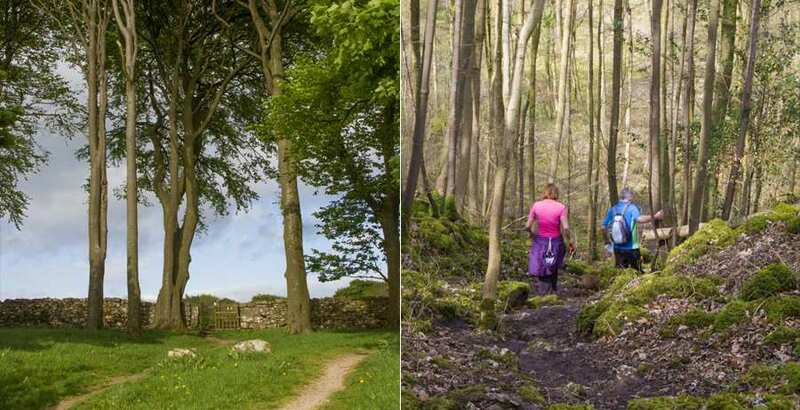 The thing is it was once a beautiful secluded pond in the heart of a woodland glade, and guidebooks from the Victorians tell us that it was a picturesque local picnic spot, very popular during the summer months. Sadly all that ended during World War One, when an explosion at a munitions factory in Lancaster shook the ground so violently that a fissure opened up in the rocks and most of the water vanished, leaving us with what we see today. The surrounding woodlands are lovely but, sadly, the pond is no more.